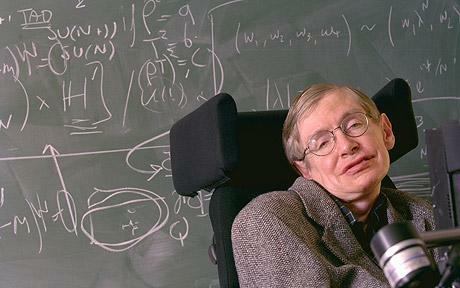 Intel Corp. is making efforts to help renowned British physicist Stephen Hawking reverse the slowing of his speech. Intel Corp is apparently looking for ways to help British physicist Stephen Hawking reverse the slowing of his speech. Intel Chief Technology Officer Justin Rattner announced the news during a conference that took place on Sunday at Cambridge, held in celebration of Hawking’s 70th birthday. Hawking has been diagnosed with amyotrophic lateral sclerosis (ALS) or commonly known as Lou Gehrig’s disease, an incurable neurological disease he’s been fighting since the age of 21. The disease has progressed over the years, leaving him almost completely paralyzed and has progressed to a point that it has already affected his speech. He managed to overcome the deterioration of his speech and communicate with the help a sensor that translates pulses from his facial muscles into words. But now even the nerves began to fade and have slowed down his words from 15 to about one word a minute. “This is a research project” Rattner said during the conference and revealed that Intel Corp. is considering the use of new technologies to help the brilliant physicist communicate better and has already appointed a team that would ‘gather data for further study’. Intel, ASUS and ACER: Soon to Launch Super Laptops?